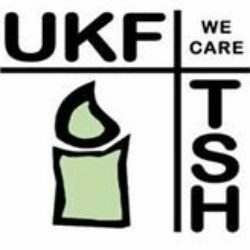 UKFTSH was founded in 2006 and evolved from the links made between Gabriel Madiye the director of The Shepherd’s Hospice (TSH) and the former Chair of UKFTSH, the late, and much missed, Sheila Hurton. 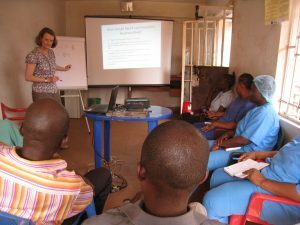 It was Sheila’s love of music which led her to establish ‘Voices for Hospices’ and through it the connection with Gabriel Madiye, director of The Shepherd’s Hospice, Sierra Leone (TSH). 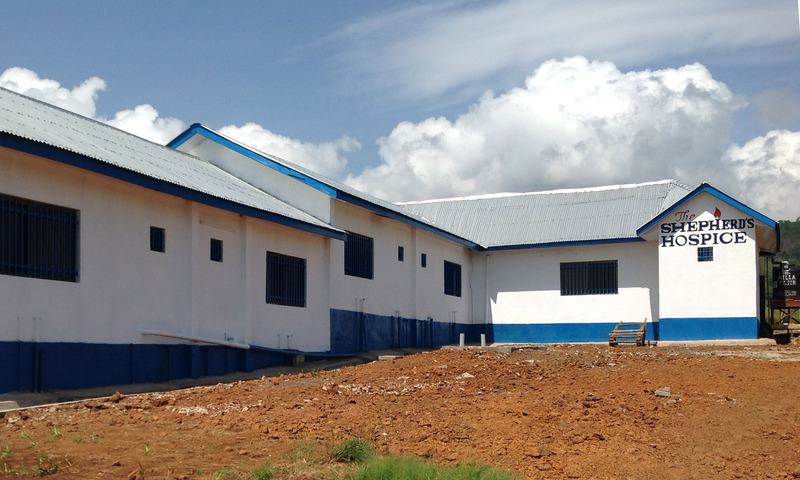 Sheila became Gabriel’s staunch supporter in 1998 and a vital link with the wider world through the dark days of the vicious civil war in Sierra Leone (1990-2002) which saw two hospice buildings destroyed in addition to Gabriel’s family’s personal suffering. Sheila set about raising funds for its replacement and soon attracted others to the cause. In 2004 (at an age when many would be quietly basking in retirement!) 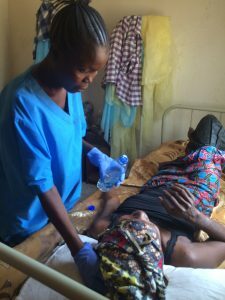 she was able to visit Sierra Leone for the first time accompanied by two nurses, Ruth and Jacqui. Following this visit these three, together with Sheila’s husband Michael, co-founded UKFTSH in 2006, to support the work both financially and in an advisory capacity when requested. 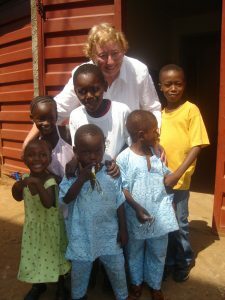 Sheila was able to visit TSH for a second time in 2007 and would certainly have gone again had her health allowed. 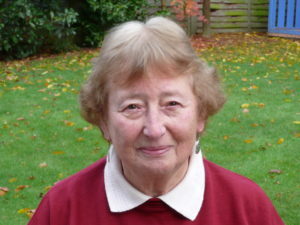 Sadly Sheila died on July 28th 2011 but her legacy lives on. 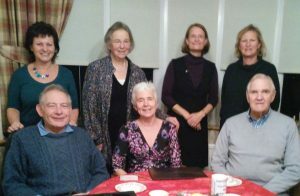 The Trustees organise fundraising events throughout the year and donations are also made by individuals, community organisations and churches through regular gifts, one-off gifts and trust funds. To provide a patient support fund to assist patients with transport to hospital or clinic visits, cost of blood tests/X-rays, nutritional support and home care packs.